Sugar Free Farm: living sugar-free like a celebrity is possible, but you probably need a full time chef! Just kidding! Nutritionist Angelique Panagos appeared on ITV’s Sugar Free Farm in 2016 starting a movement to live sugar-free and eat healthily. I had the pleasure of interviewing her when I was writing my book Strictly Walk Slimmer. The programme came back for a second series in 2017. In 2017, ITV’s Sugar Free Farm (Series 1) nutritionist Angelique Panagos published her debut book The Balance Plan: Six Steps to Optimize Your Hormonal Health, featuring diet and lifestyle advice and a recipes section. Sugar Free Farm came back for another series in 2017 with a new team of celebrities and nutritionist Hala El-Shafie. 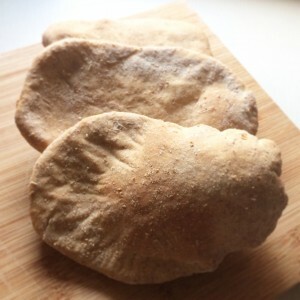 One of the recipes featured in series 2 was wholemeal pitta bread: seeing that inspired me to recreate the recipe at home. It’s actually very simple to make, it’s worth giving it a try! Also, if you are looking for how to make crispy fried chicken at home as featured on the show, here is the recipe. Forget the celebrities, the real star of the ITV show Sugar Free Farm is Angelique. Her no-nonsense approach to healthy eating is refreshing: it’s not about gimmicks or gadgets (sure, breakfast smoothies made an appearance, but nowadays who doesn’t own a blender?) but simply trying as much as possible to eat natural foods instead of processed foods. I interviewed Angelique in my book Strictly Walk Slimmer. So, while the celebrities were behaving like fussy children who dislike vegetables and eat at set times, what we can all learn from the programme is that the more we are in control of what we eat and the more we know about ingredients, the better we will feel. The real eye opener from the programme is how sugar withdrawal can affect us emotionally and how to avoid having extreme mood swings linked to low blood sugar levels. A diet relying heavily on sugar, processed foods, take-aways and ready meals may be detrimental to one’s health in the long run. Moreover, unhealthy junk food has an addictive quality, as found in research studies. In the programme Sugar Free Farm Angelique explained that you can make meals healthier by using some clever swaps. For example, in episode 1 she made chicken nuggets using wholemeal flour and baked sweet potato for a healthier alternative to the usual chicken nuggets with chips. You can find a recipe for healthier chicken nuggets on Angelique’s website (gluten-free chicken nuggets recipe). Please note: the Energya website does not feature recipes from the TV programme. Recipes included in the Energya website have been created by author Paola Bassanese over the years and are collected in her books (The Foraging Home Cook and Strictly Walk Slimmer). 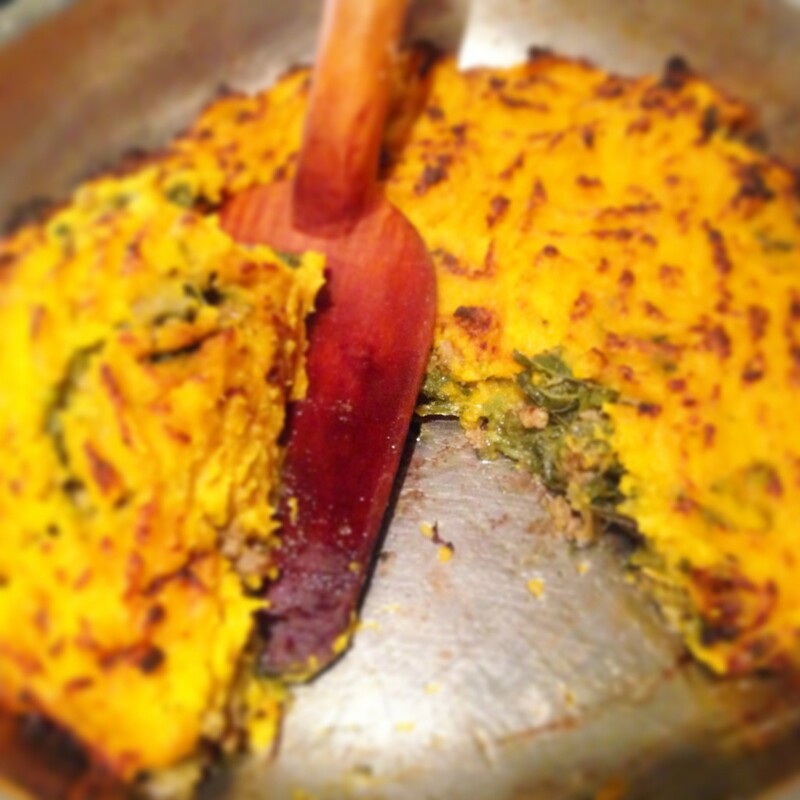 I was also inspired by Angelique to make a healthier version of shepherd’s pie, swapping potatoes for carrots and adding some wild vegetables too (see recipe: shepherd’s pie with wild vegetables). The inspiration keeps coming! 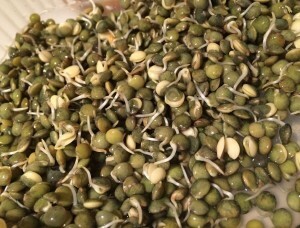 I have also created a recipe for sprouted bread; sprouted grains and pulses have plenty of nutritional and health benefits. If you are looking for Angelique’s smoothie recipe, here is the link to her Superfood Detox Green Smoothie. In episode 2 Angelique suggested granola as a breakfast option: here is her recipe for sweet potato granola. Not a fan of granola? Why not try her gluten-free pancakes. In episode 3 Angelique reminded everybody to avoid rewarding ourselves with sugary treats to break the cycle of sugar highs and lows. You will find the recipe for sugar-free lemon slices on Angelique’s website. Made with dates, coconut, mixed nuts including cashews and pecans and of course lemon, the cake is enriched with superfoods like Maca powder and turmeric. Angelique also taught the Sugar Free Farm participants how to make a cauliflower pizza – once again, by swapping one ingredient with another that helps you keep fuller and not get the “crash-and-burn” cycle from refined food, you can have a healthier diet without making sacrifices. A few years ago I had a go at making cauliflower pizza, enhancing the cauliflower pizza base flavour with some mushrooms, then binding everything together with an egg and seasoning it with a pinch of salt. Here’s the link to Angelique’s cauliflower pizza. 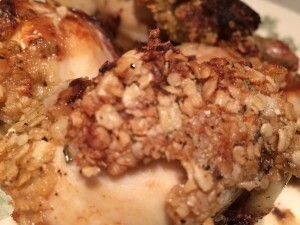 It’s worth personalising the recipe to your taste, so have fun in the kitchen just like I did! Fancy having a go at making no sugar ketchup at home? You can try using wild berries, in this case hawthorn berries, and make this delicious ketchup. If you are a sugar addict, side effects from sugar deprivation are almost inevitable. However, going through a short period of discomfort is nothing if you take a long term vision of your future health. Having met Angelique I can say she’s a great communicator and she’s great to work with, therefore I recommend booking a consultation with her to improve your diet and lifestyle. Lettuce Crisis: Beat the Lettuce Shortage, Go Foraging!